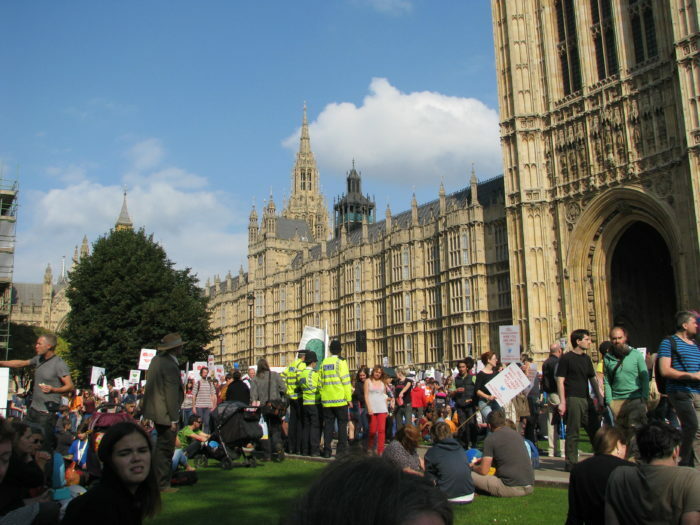 EIA campaigners will be taking to the streets of London for the Global Climate March on Sunday, November 29 and is calling on all supporters to get involved. The mass demonstration is one of just several events taking place simultaneously around the world, from São Paolo to Berlin, as people march to demand more governmental action on climate change on the eve of the UN Framework Convention on Climate Change CoP21 climate negotiations, aka #Paris2015. The march will begin at noon from Park Lane. If you would like to join EIA in marching to stop the climate chaos, we will be assembling at 11.30am on the day at the Wellington Arch, near Hyde Park Corner Tube Station. Please feel free to bring your own banners, posters, instruments, music and enthusiasm so that together we can make as much noise as possible in demanding meaningful action to address climate chaos. Details of the demonstration, including the provisional route, a list of organised transport services to London, and ways to get involved, are available here. EIA would also like to help you share your reasons for marching for greater climate action. If you would like to share your thoughts on this, please send EIA a photo of you holding your personal climate message to us via ukinfo@eia-international.org or to our Twitter account @EIAinvestigator with the hashtag #EIAClimateAction, and we’ll share the best of them of.